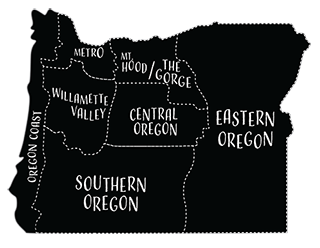 They are a small artisan brewery located in McMinnville, Oregon. They specialize in producing distinctive all-malt lager and other German and Czech style beers. They use only the finest, most appropriate malts, hops, water and yeast in their beers. While their lagers are similar to those made in Germany, they are their own unique interpretation of the style. Lager beers are fermented at lower temperatures than ale, using yeast that has adapted to cooler fermentations. Low temperature fermentations create fewer “yeasty” aromas, esters, and flavors that are so common in ales. They brew lagers because we enjoy their smooth malty and hoppy character.